The October meeting was attended by 6 members. I (Jim Cook) was not there; so, I have no report. Jack did report to me that turnout was light. I hope it was because everyone was headed for Hershey. The club continues to meet its expenses. The previous meeting minutes were approved. In the absence of any formal minutes I will just say that, in a year when our club membership is at an all time high, it is disapointing to have such a low turnout for a monthly meeting. I will take part of the blame for not providing an up-to-date, inspirational newsletter during the last couple of months. I know that the timing of the newsletter is key to getting all of us to the meeting. Any time that I've published the newsletter more than a week before the meeting, the crowd has been small. So, here is recap of the events since last I published. The MTFCI Key Stone Cops tour was as fun as ever. This was closely followed by the All Ohio Jamboree. Some of you have already heard the reports on these events; but, for those of you who could not attend the meeting. I will re-report some of the events in this newsletter. 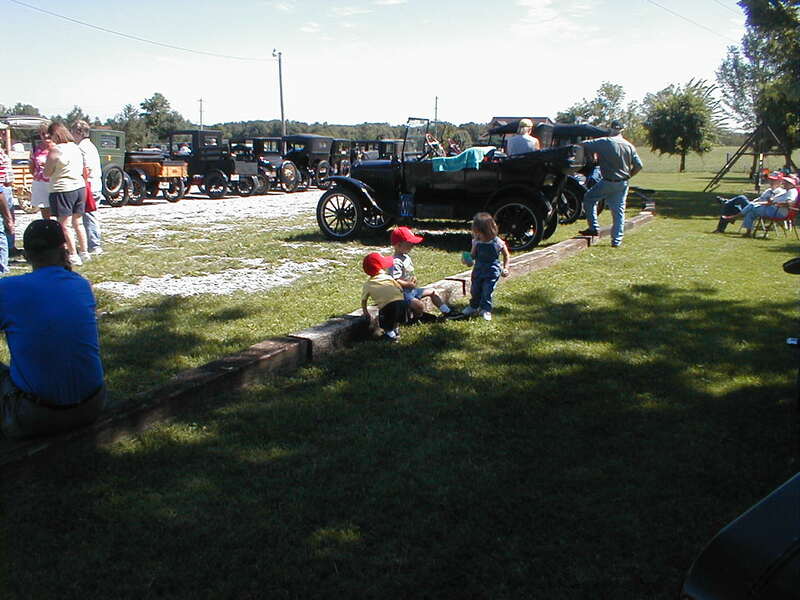 The weekend after Labor day was the Old Car Festival at Greenfield Village. Next up was the week of Hershey (another wet year). While the fall colors were a little late this year, Sue and I still had a good time touring the Yellow Springs area a couple of weeks ago. It was a much needed rest from the hectic grind of everyday work. too far out of the way if stowed in the usual spots under the back seat or in a box on the running board. It is just wide enough to allow for you to still pull up the floorboard for service on the transmission and the adjoining grease cups. I tracked this one down on Ben Staats touring car. 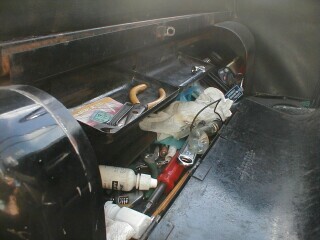 He has the usual assortment of tools, glues, and bottom fodder that are seen in all tool boxes. This looks like a great project for some do-it-yourself freak. There might even be a modern day market for such a thing. I know that I'd buy one if the price was right. For those who are patient and wait, great things will come their way. 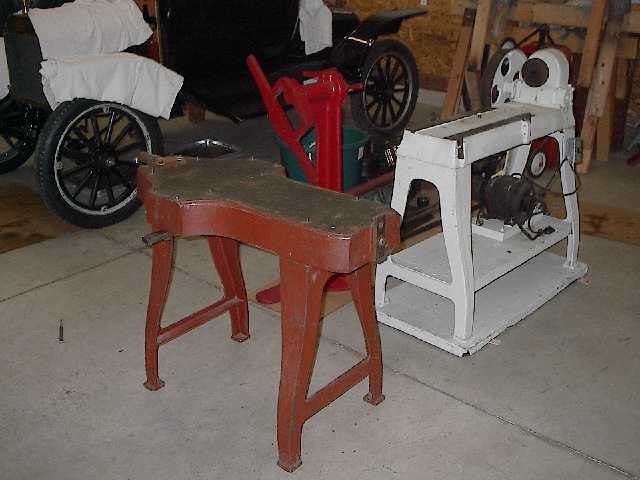 Well in this case it was for those who finally break down and make their own, all of a sudden one pops up at an auction. Jack was lucky enough to come across this KR Wilson straightening jig. He was inclined to also acquire some more backup tooling at the same time. 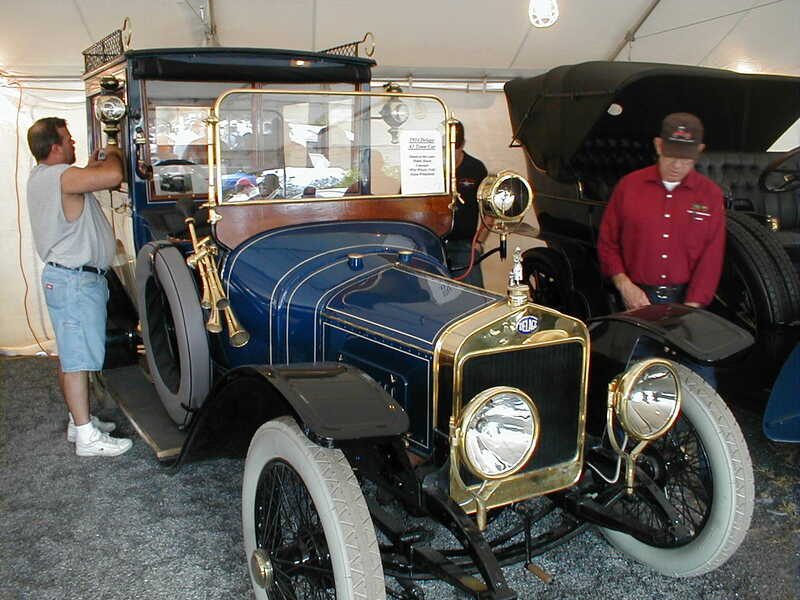 The cast iron fixture is used to straighten bowed Model T pans. The pan has a natural tendency to sag because of the pressures from the rear end hanging on the transmission. This along with the misalignment of the mounting ears on the pan cause undue stresses on the crankshaft and the result can be a broken crankshaft. Jack had made a straightening fixture out of a piece of plate steel with much success. Its just nice to have the original equipment to work with. Since I am also an active Railroad Nut, the live steamer that we saw on the Ohio Jamboree was a special treat. 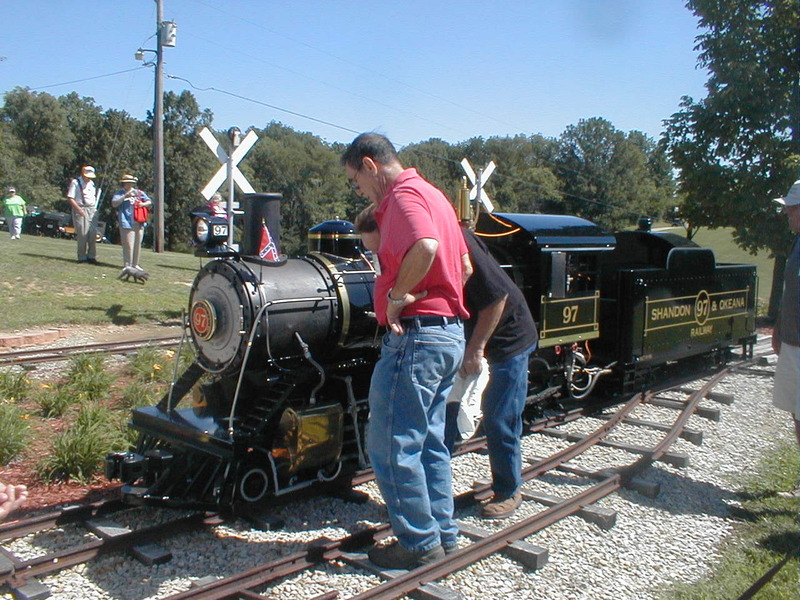 This guy had houses, a church, and a school house all made to fit the scale of this locomotive. 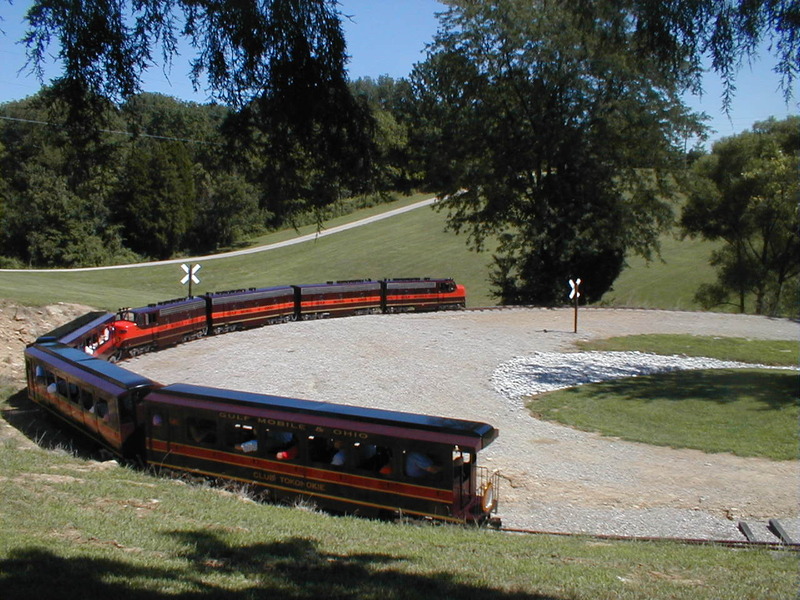 The picture below shows a four unit train pulling 40 guests around a curve overlooking the roller coaster driveway that brought us onto this beautiful estate. Over the river and through the woods seemed to be the theme of this day of touring beautiful southwest Ohio and southeast Indiana. 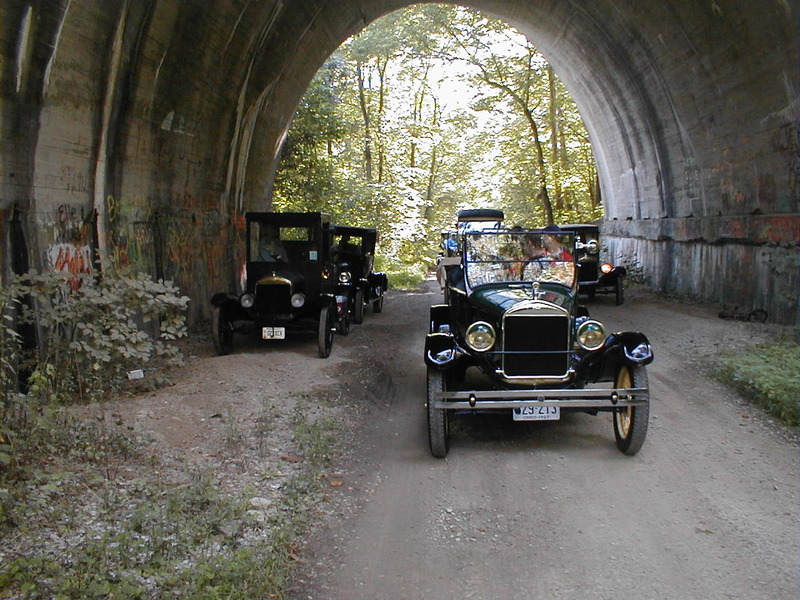 We drove under the above this railroad a number of times. 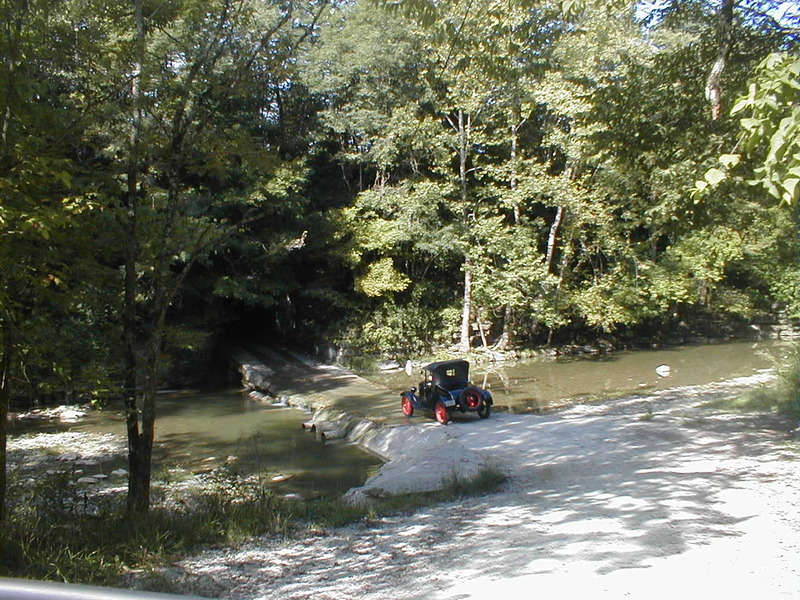 In this particular spot we used the tunnel as a cool spot to wait to cross the stream that is pictured below. The horns and engines echoing against those walls was deafening. I just couldn't leave out this shot of the Snider boys from around Somerset, Ohio checking out a future windshield wiper motor. I was so busy trying to get everything bought in one day, that I didn't get many pictures at Hershey this year. I only had Thursday to take in the white and blue fields. These would be under water by Friday. Friday was mostly a washout because a lot of the vendors didn't even untarp their wares. The big guys opened; but, the individuals just sat around a watched the rain or folded everything up and departed. 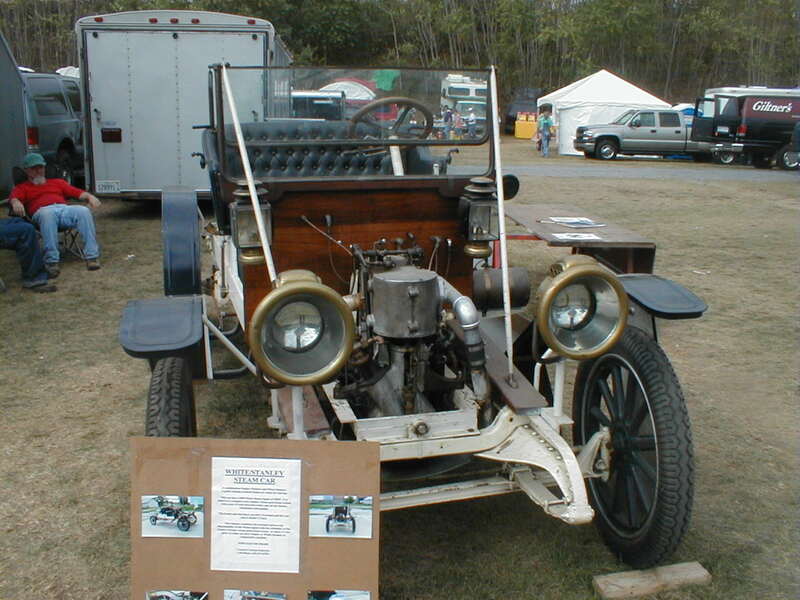 The oddities that I took pictures of were this White Steam car that is sitting on an Overland frame. I'm not sure about the fenders. The other was the Delage that is pictured below. I took a picture of it to show the ugly drain cap that is on the front of the radiator. We rebuilt one of these recently and I was just amazed that an expensive car like this would have such an ugly radiator.